This week the team hosted the standup on Aerial Spaces. Every week’s episode is published on YouTube for later reference. The team answers your questions LIVE and unfiltered. This is your chance to ask about the why and what of ASP.NET! Join them each Tuesday on live.asp.net where the meeting’s schedule is posted and hosted. 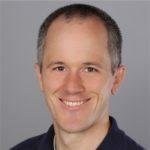 Question: Will there be MVC 4 project support in Visual Studio 2017? — Removed in RC but should be coming back in the next release. Question: What should I grab ASP.NET Core 1.1 runtime or SDK? / What’s the difference between the .NET Core SDK and runtime? — In short, if you a developer you want to install the .NET Core SDK. If you are server administrator you may only want install the runtime. Question: Will .csproj tooling be finalized with Visual Studio 2017 RTM? — Yes, that is the current plan in place. There are couple of know issues for ASP.NET Core support in Visual Studio 2017; we have listed the workarounds on our GitHub repo. Question: How for along is the basic pipeline API? — Currently, being tested by some folks at Stack Overflow. If you would like to get involved tweet David Fowler. Question: When will URL based cultural localization be available? — It’s available now. With ASP.NET Core 1.1 Middleware as MVC filters. In this example from the ASP.NET Core 1.1 announcement we used a route value based request culture provider to establish the current culture for the request using the localization middleware. The team will be back on Tuesday the 29th of November to discuss the latest updates on ASP.NET Core. See you then!